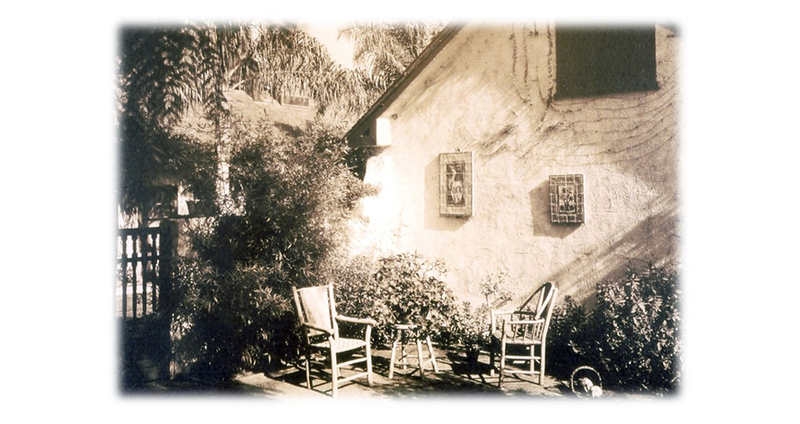 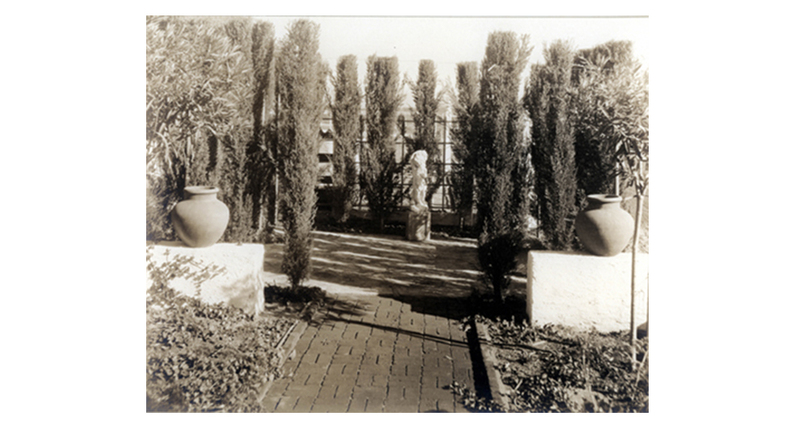 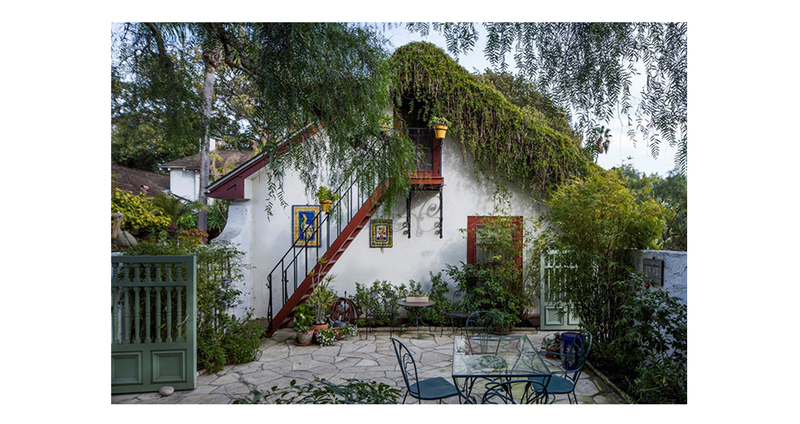 The existing gardens were created primarily between 1920 and 1936 and while such notable designers as the Olmsted Brothers Firm, Florence Yoch, and Paul Howard were involved, the guiding influence was Florence Bixby the last of the Bixby family to call the ranch home. 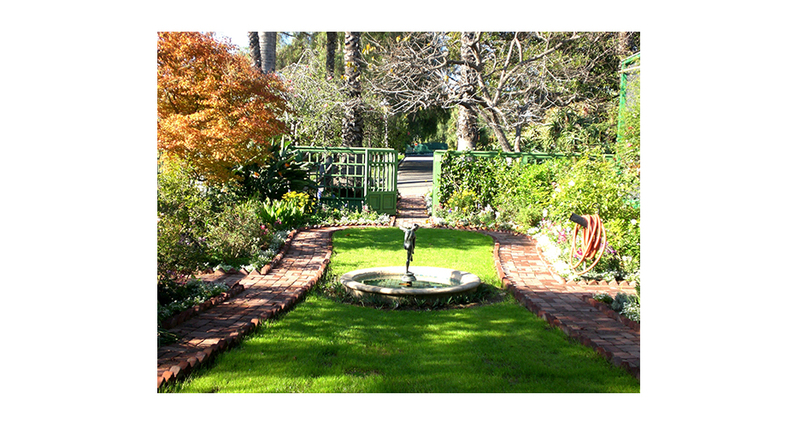 The elegant gardens are notable for the way in which they extend a modest domestic tranquility into the garden. 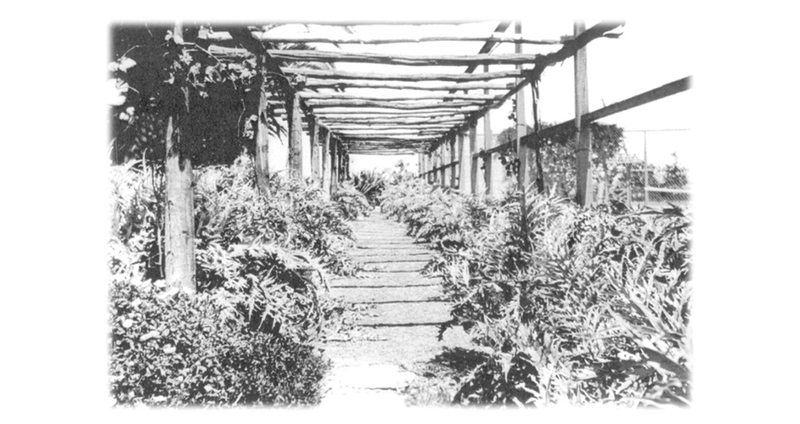 There are no really rare plantings. 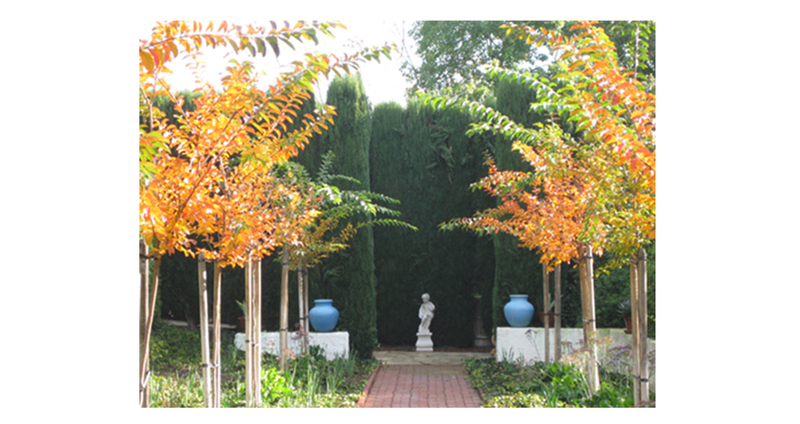 Rather, the restrained palette in combination with the beautifully dimensioned spaces, gives quiet strength and character to the garden. 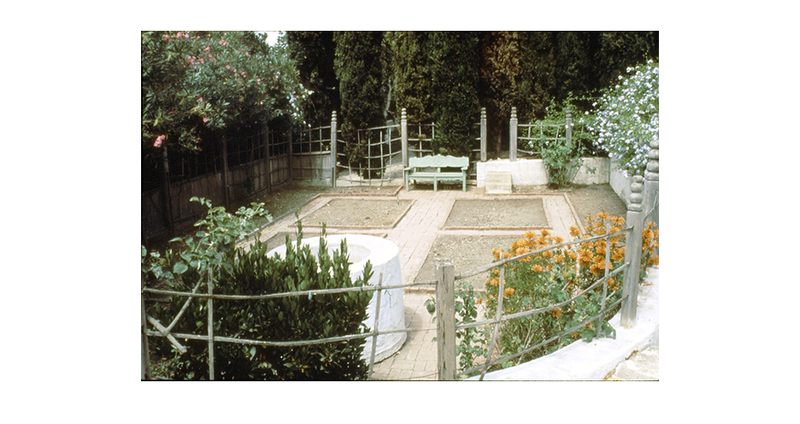 Created in an age of flamboyance, the gardens represent a remarkable personal aesthetic at ease with the relaxed dictates of outdoor living. 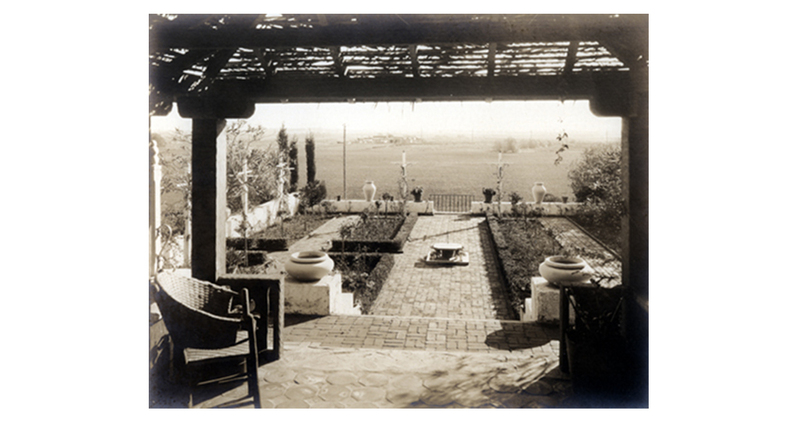 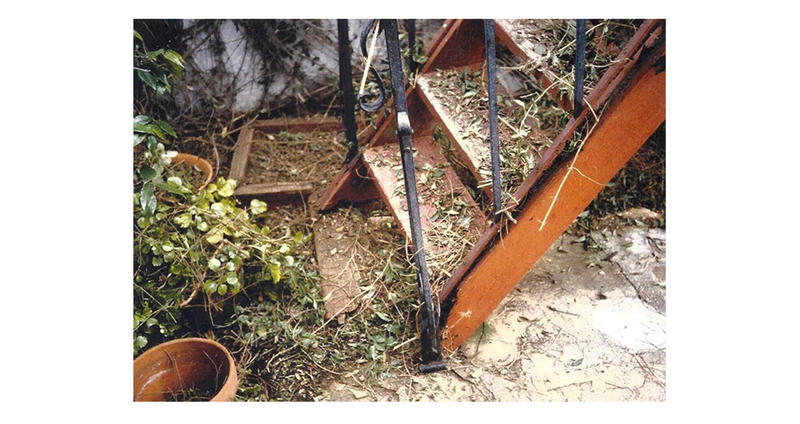 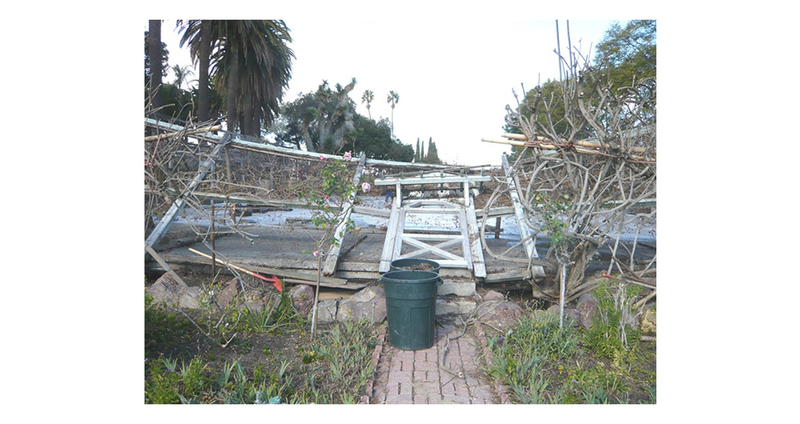 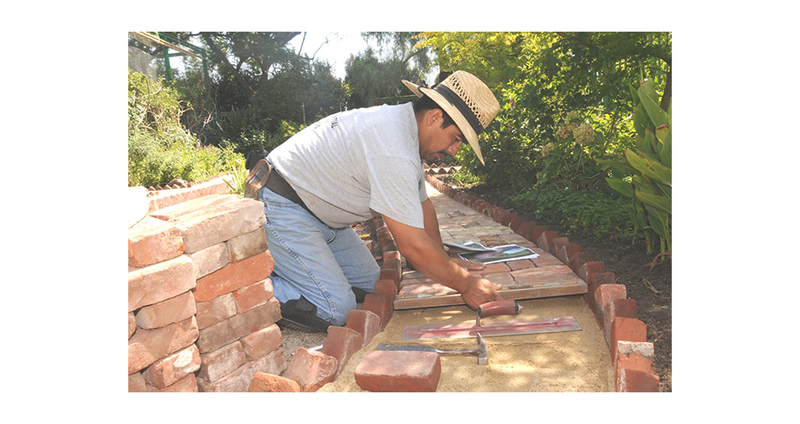 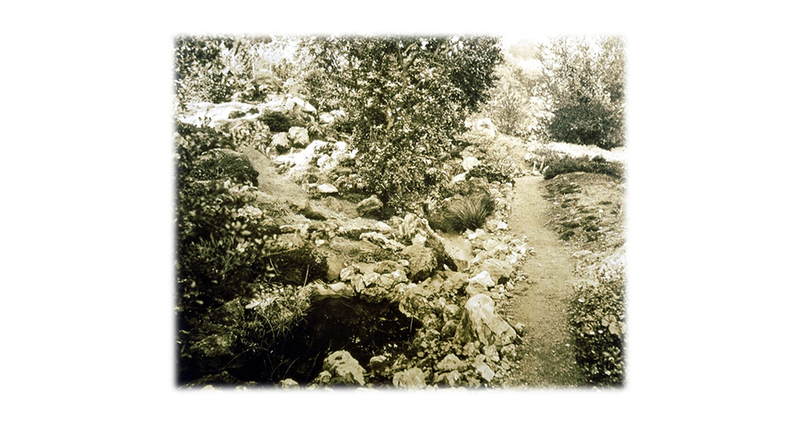 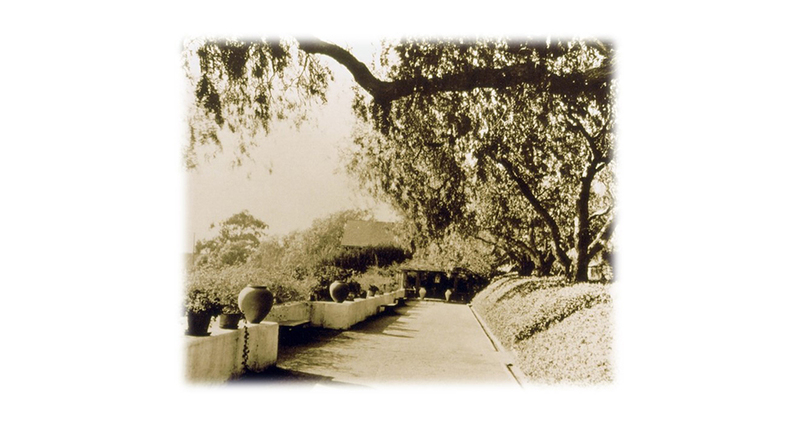 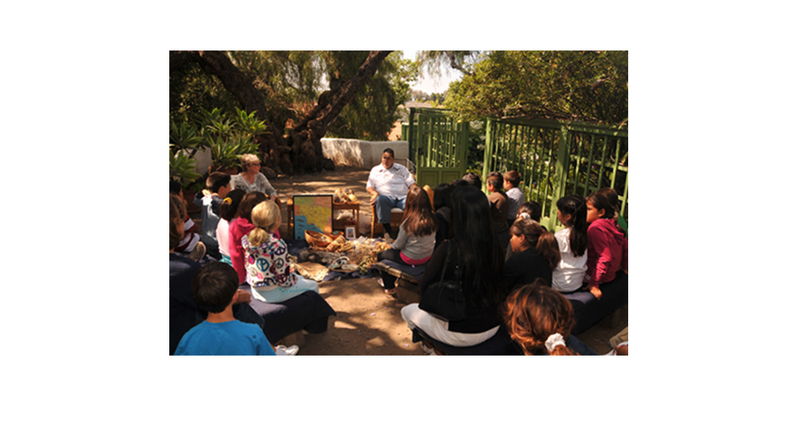 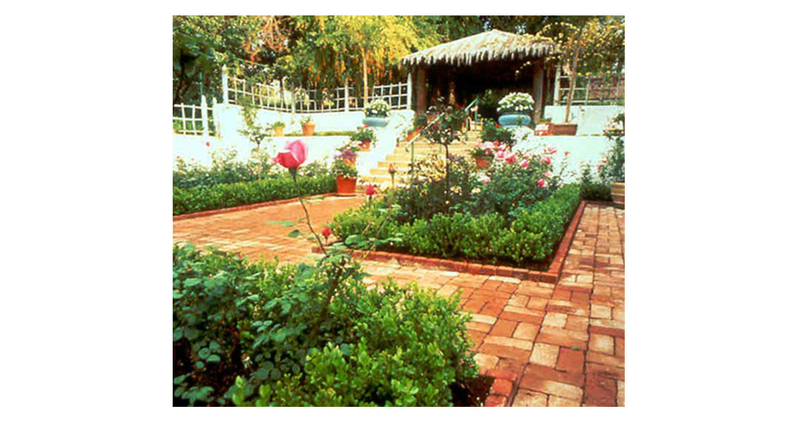 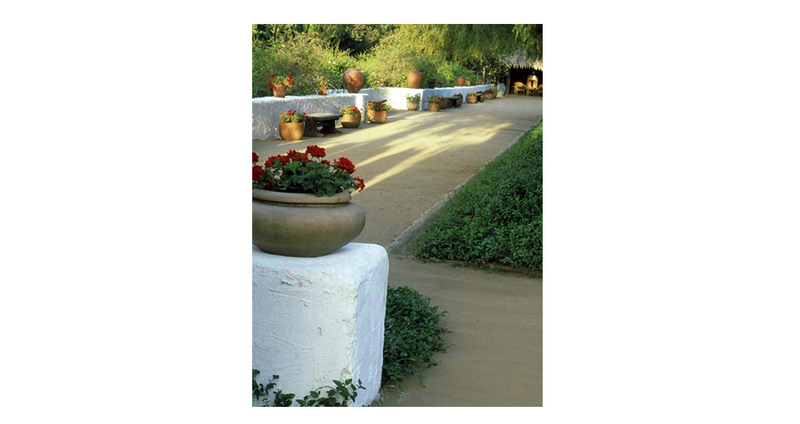 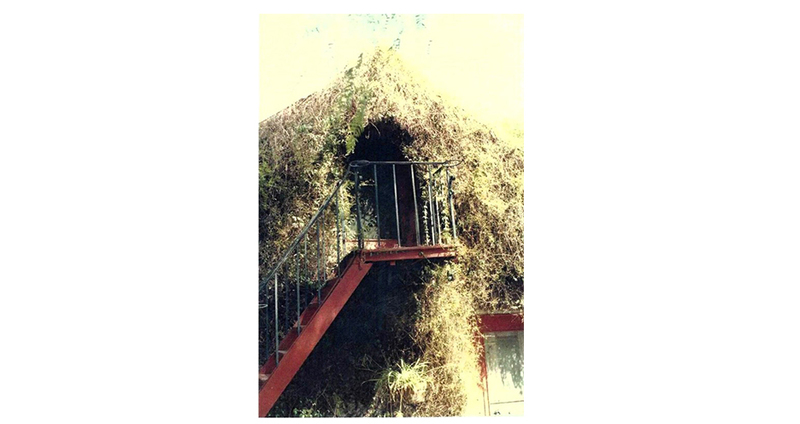 In 1986 when Rancho Los Alamitos Foundation assumed responsibility for the restoration and operation of the site, the gardens were quite deteriorated. 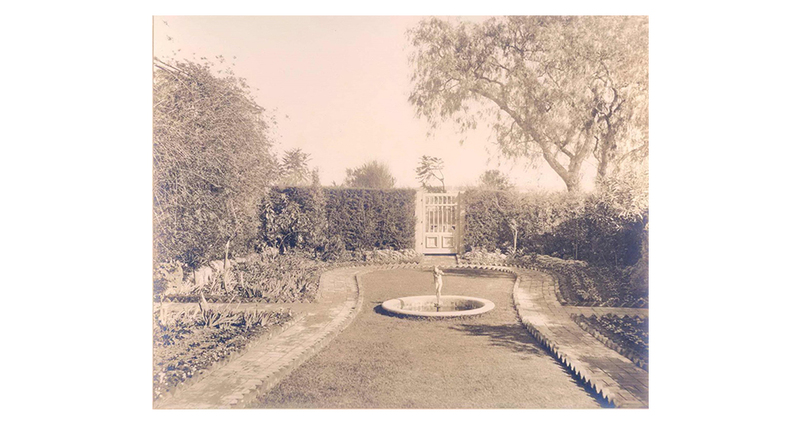 As part of its Master Planning Program, the Foundation created a nationally recognized comprehensive Plan for the restoration and maintenance of the garden based on extensive research using the archives at the site. 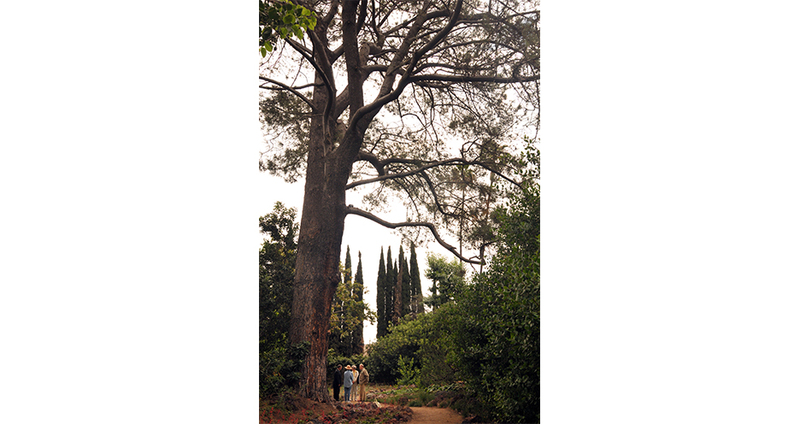 The Plan has been steadily implemented over the years and its principles continue to guide the sensitive management of the landscape. 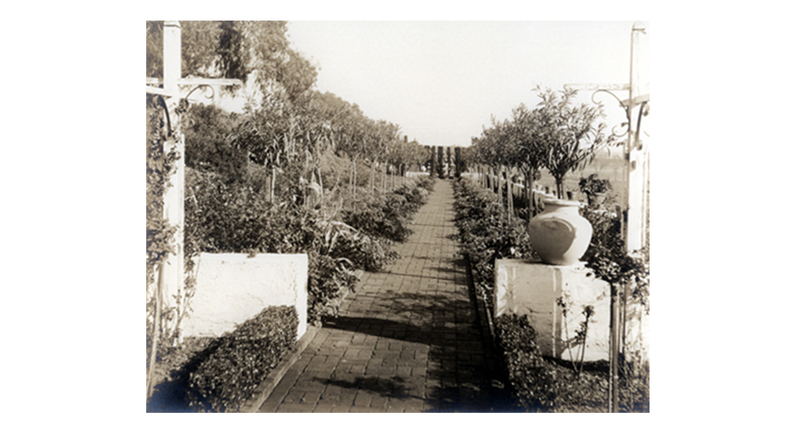 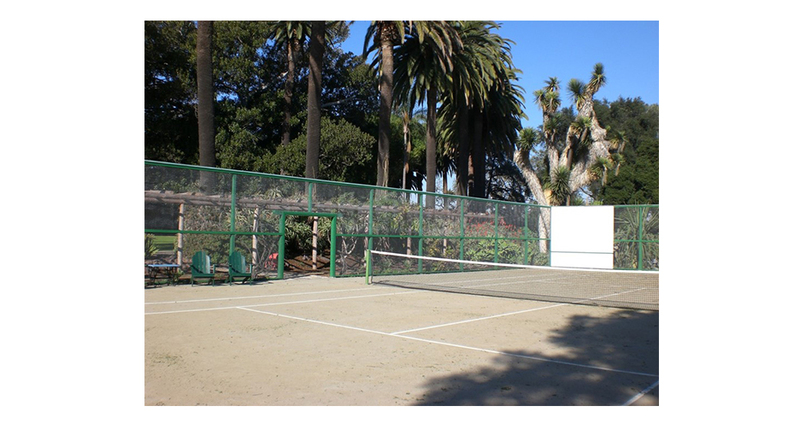 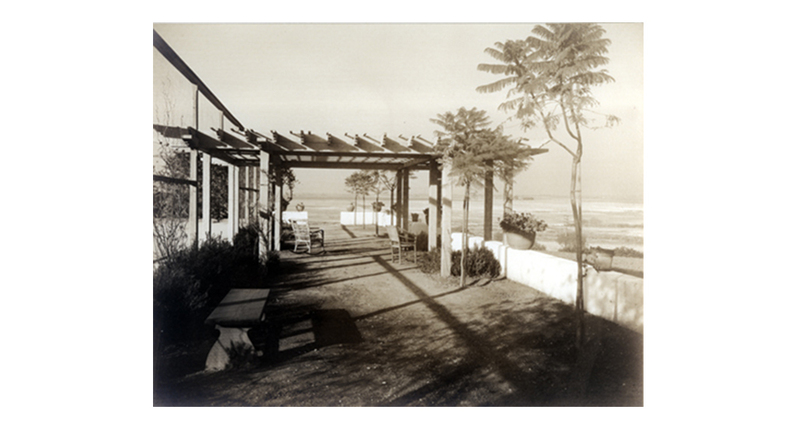 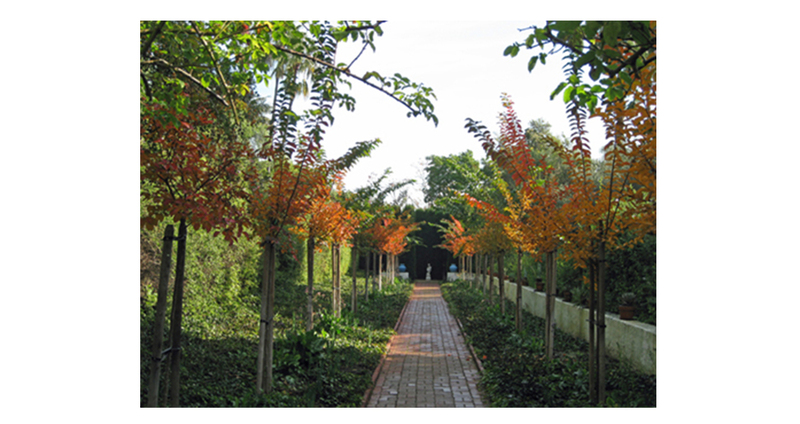 The following series of slides illustrates the evolution of the gardens over time. 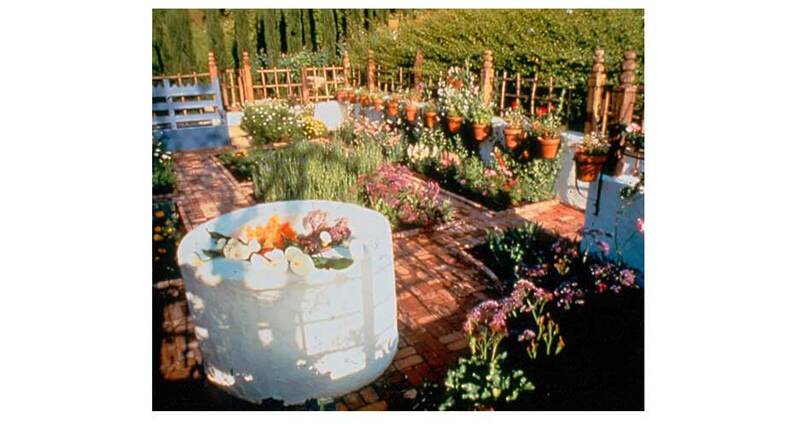 To pause the slideshow, roll your mouse over an image or onto its navigation button (circles below the slide show). 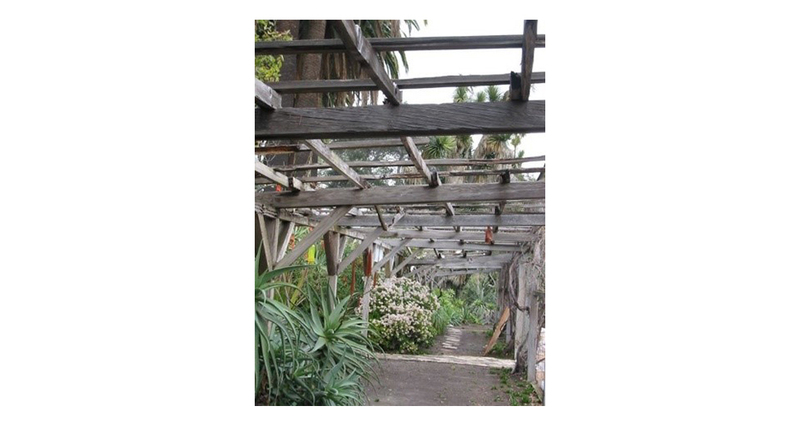 To resume the slideshow, move your mouse off of the image or any of the navigation buttons.